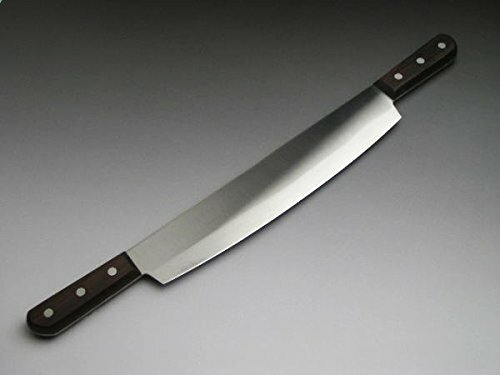 The Kitchen Knife dedicated for professionals who handle frozen tuna or frozen meat at a market or restaurant. The blade is made of stainless steel which is resistant to rust, and it has a curve to cut easily. When you use it, set the blade at right angles to the chopping board, and depress it with both hands. If you twist it or pry the foods open, the blade might break. for Professionals who work at the market or restaurant! View More In Cheese Knives. If you have any questions about this product by HONMAMON, contact us by completing and submitting the form below. If you are looking for a specif part number, please include it with your message.